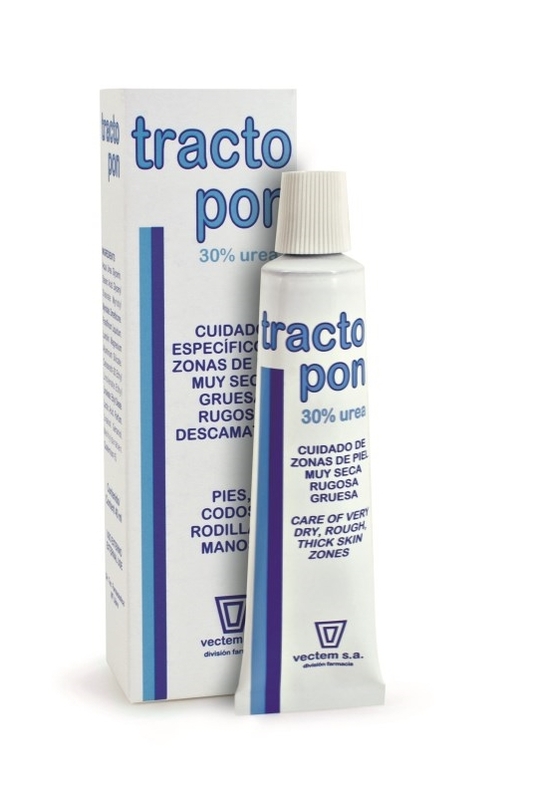 TRACTOPON 30% UREA , vectem s.a. Cream containing 30% UREA, enriched with emollient ingredients to give very dry and thickened skin (SEVERE HYPERKERATOSIS: thickening of the uppermost layer of the skin) an intensive 2-3 week treatment. Recommended for the heels, foot soles, elbows, etc. Once the skin improves (as the keratin softens and thickened skin is eliminated), it is recommended to use Tractopon 15% Urea cream for daily skin care and maintenance.